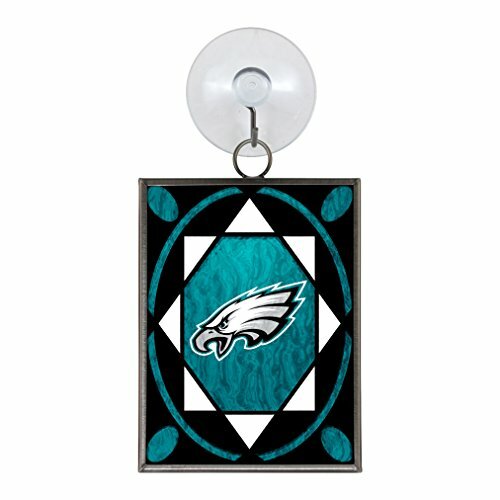 Philadelphia Eagles Christmas Tree Ornaments are beautiful in the team colors of midnight green, silver, and white. 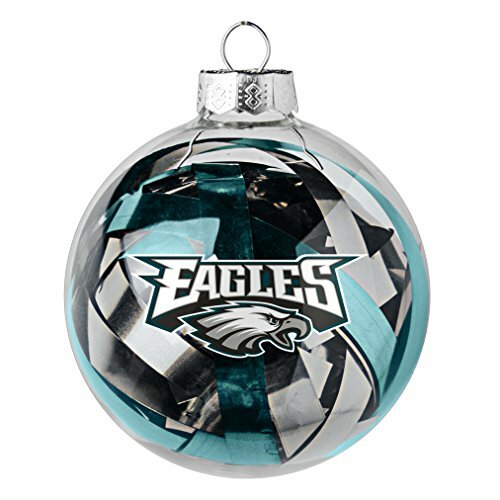 These are great colors for Christmas decorating. 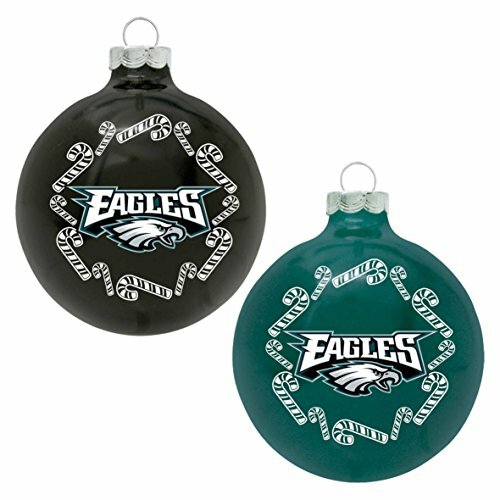 Make the Eagles ornaments the star of the show but add in dark reds, dark greens, silver, and white. 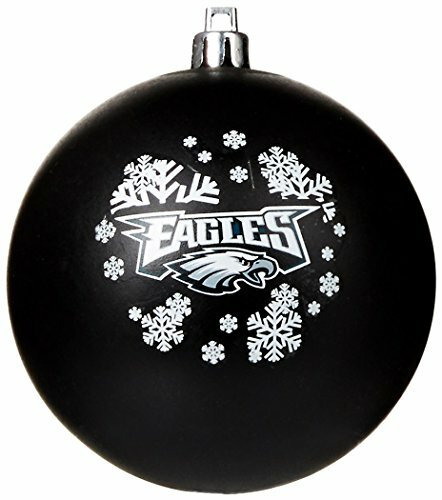 Add plain colored globes, beads and garlands for a stunning Christmas tree! 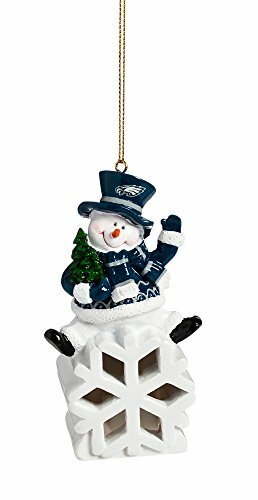 White or silver snowflakes would be pretty too. 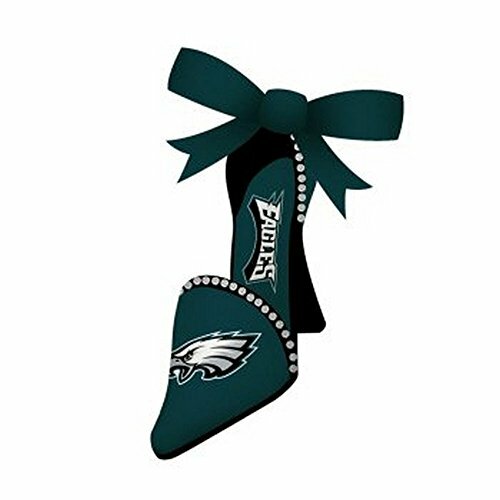 This group includes some non-traditional ornaments such as a scoreboard, a high heeled shoe, stained glass, and a football light up snowman. 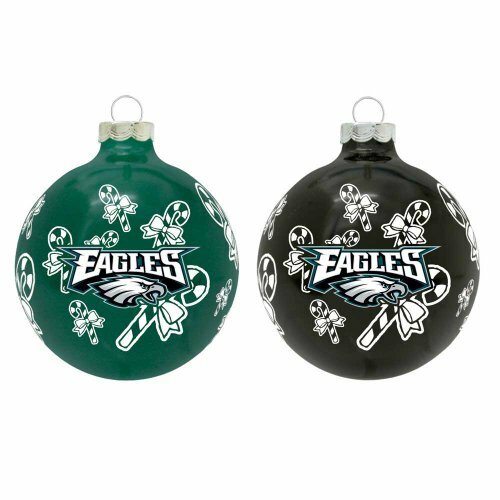 Add some interesting details to your tree with these ornaments. 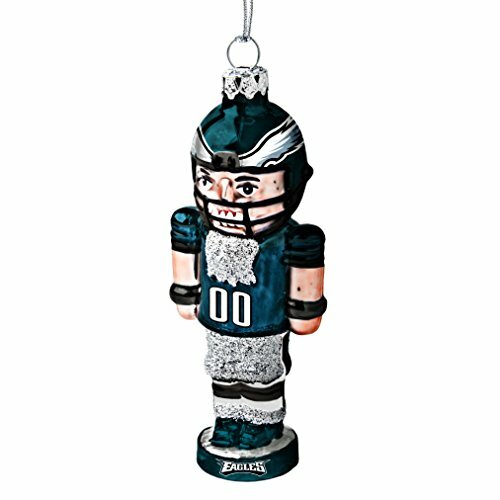 These four ornaments are from The NFL Shop, a sports merchandiser. I like to include alternative merchants because it happens now and then that Amazon runs out of things, especially at Christmas. It never hurts to have an alternative source. 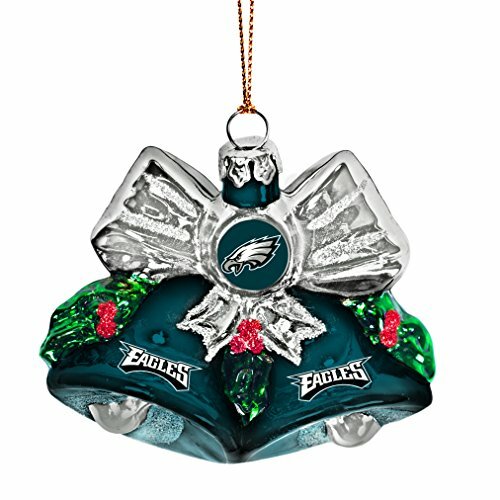 Plus they have beautiful ornaments! 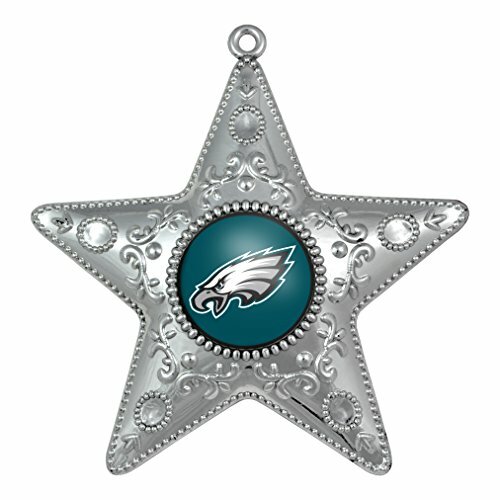 Your tree can be a wonderment of Eagles ornaments to enjoy during the holiday season. 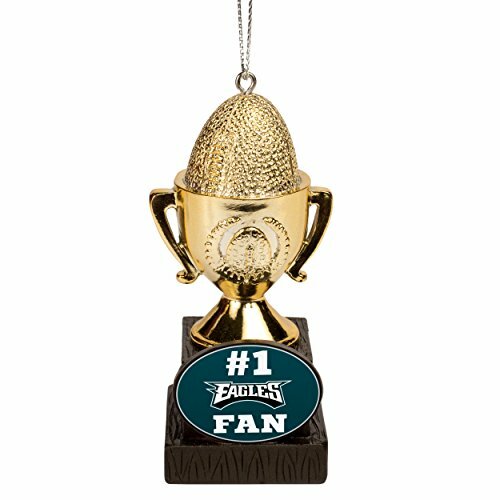 Here are more super ornaments for the Philadelphia Eagles. 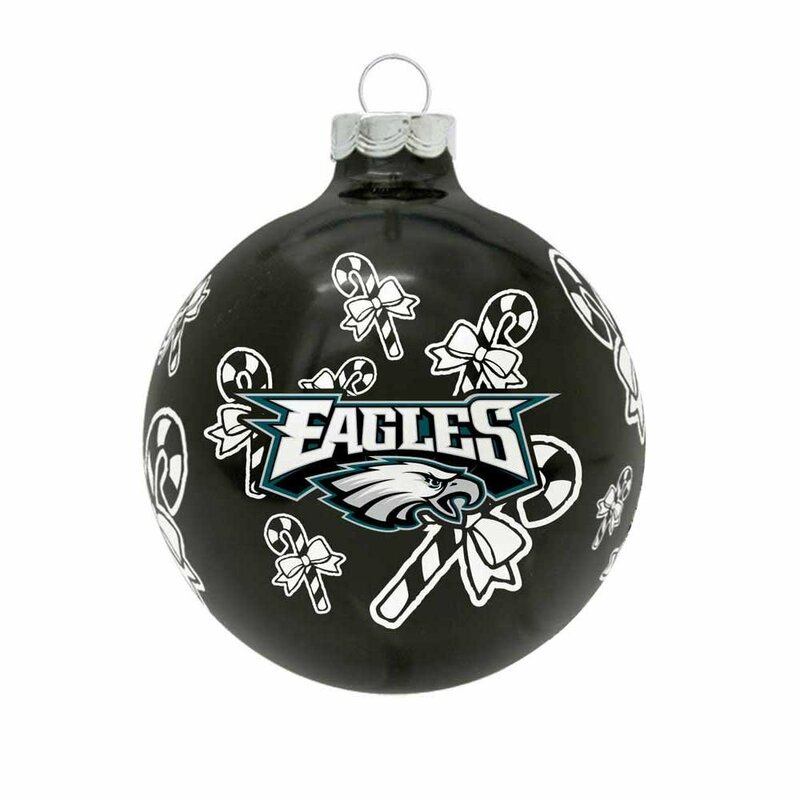 There are the traditional round ball ornaments as well as bells and a train all done in the Eagles colors. 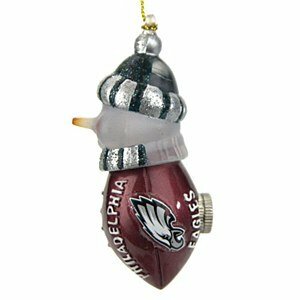 If you’re having a tree dedicated to Philadelphia Eagles Christmas Tree Ornaments, here’s a nice selection of artificial trees. You can get practically any size, white lights, multi-colored lights, and there are many different varieties of evergreens to choose from. 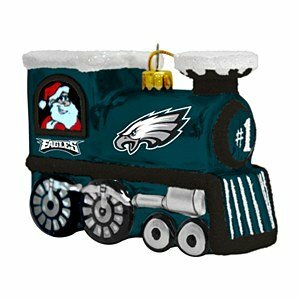 That is the nice thing about an artificial tree. 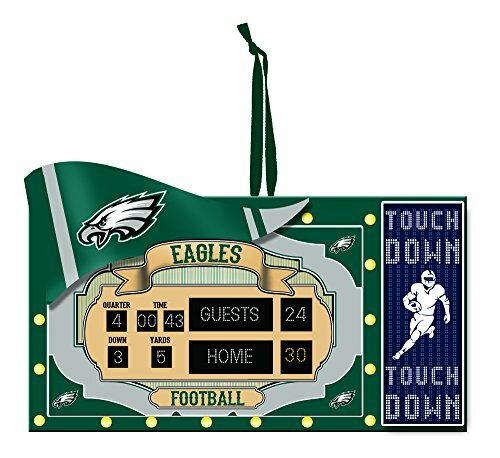 No mess, no fire hazard, no watering, and easy peasy to set up and take down. 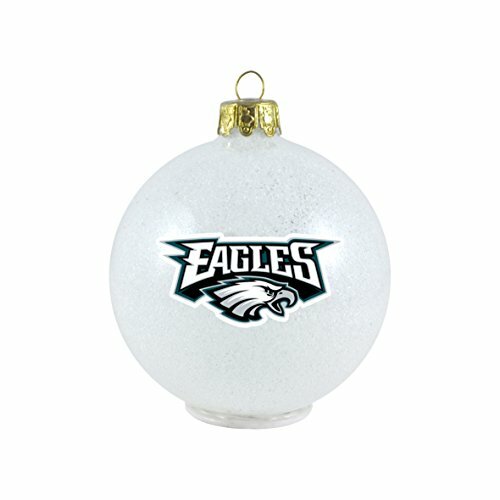 Can you visualize one of these trees all done in Eagles ornaments.